BUCYRUS — The Crawford County Sheriff’s Office today received a report of vandalism at the Crawford County Courthouse, 112 E. Mansfield St.
A statue of Col. William Crawford, which stands outside the courthouse was vandalized. 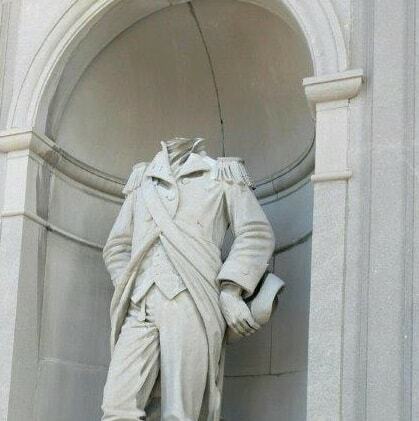 The head was knocked off the statue and taken from the property. At this time there is no indication that this related to the recent vandalism being reported around the state.